I am presently batting my email box. One of the small rewards in this situation is discovering great news emails that slipped by. From the excellent news rediscovered department, I am happy to note two recent awards bestowed on friends from the museum anthropology community. Dr. Nancy Parezo was awarded the 2011-2012 Graduate College Graduate and Professional Education Teaching and Mentoring Award at her home institution, the University of Arizona. Nancy is a member of the Department of American Indian Studies at UA and is a lead faculty member for the Summer Institute in Museum Anthropology held each year at the National Museum of Natural History, Smithsonian Institution. 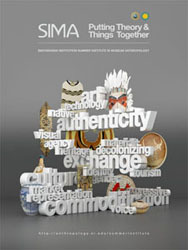 (I will be joining Nancy for part of this year’s SIMA). Plateau Peoples’ Web Portal, “an interactive, online digital archive that provides access to Plateau peoples’ cultural materials at Washington State University through tribal curation. The Portal provides a way for tribal communities to include their own knowledge and memories of digital materials for various collections. This project is an inspiring model of how university repositories can successfully collaborate with tribal communities to curate and enhance collections with tribal voices and histories.” The project director for this effort is my friend and collaborator Kimberly Christen of Washington State University. Belated congratulations to Nancy, Kim, and to the Plateau Peoples’ Web Portal team on these well deserved awards. Congratulations to Tiya Miles on being honored with a 2011 MacArthur Foundation Fellowship. It is always fun to see who has been awarded one of these amazing Fellowships and it is great when someone working in the same corners of the world that I do is a recipient. Learn more about the awards and Professor Miles’ work on African and Cherokee history in the American South here. The Open Folklore project, a collaborative effort between the Indiana University Bloomington Libraries and the American Folklore Society, is the recipient of the 2011 Outstanding Collaboration Citation. The honor comes from the Association of Library Collections and Technical Services within the American Library Association. The award recognizes and encourages collaborative problem-solving efforts in the areas of acquisition, access, management, preservation or archiving of library materials, as well as a demonstrated benefit from actions, services or products that improve and assist with the management of library collections. Open Folklore debuted in October 2010 to provide open online access to many useful — but heretofore difficult to access — research materials in the field of folklore studies, including books, journals, “gray literature” (unpublished) and web sites. “Open Folklore is extraordinary in its vision and its promise. A true example of the spectacular things that can be achieved together but which are entirely impossible alone,” said Julie Bobay, Associate Dean of IU Bloomington Libraries. “Ultimately, Open Folklore will become a multifaceted resource, combining digitization and digital preservation of data, publications, educational materials and scholarship in folklore; promoting open access to these materials and providing an online search tool to enhance discoverability of relevant, reliable resources for folklore studies,” said Kurt Dewhurst, president of the American Folklore Society. Primarily, Open Folklore was developed so quickly and productively because of the close match between the collection development and scholarly communications priorities of the IU Libraries and the American Folklore Society, Dewhurst said. Barbara Fister of Inside Higher Ed blog Library Babel Fish, said the project is drawing “a terrific map for societies unsure of how to proceed” with open access. 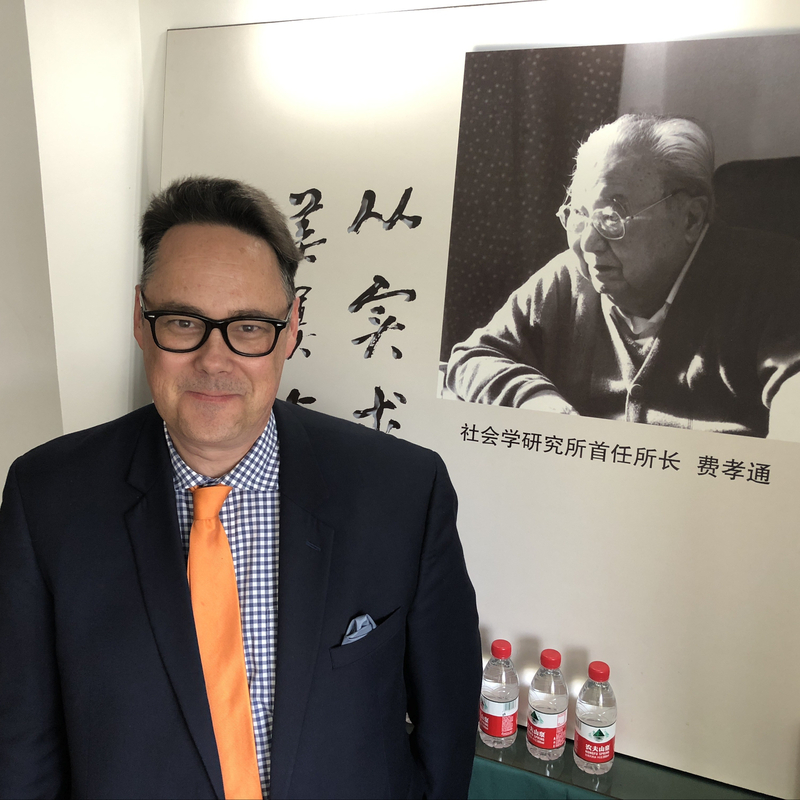 “As a librarian deeply involved in building digital collections of the future, I view Open Folklore as a stunning example of the value of, and opportunities presented by, new developments in scholarly communication,” said John Wilkin, executive director of HathiTrust Digital Library. The award will be presented at the Association of Library Collections and Technical Services Awards Ceremony at the Annual Conference in June 2011. (As John Laudun has already noted) warm congratulations are due to our UCLA folklore colleague Timothy R. Tangherlini who (with Peter Leonard of the University of Washington) has secured a Google Digital Humanities Research Award for their project Northern Insights: Tools and Techniques for Automated Literary Analysis, Based on the Scandinavian Corpus in Google Books. Tim is a leader in digital humanities research whose focus is on big projects that explore ways of dealing with large amounts of folklore data. This is important work and I am glad that Google is recognizing the work that Tim and his colleagues have been pursuing. Congratulations! The board of the Council for Museum Anthropology has just announced two new developments of interest to the museum anthropology community. They have established a Student Travel Award that will fund student participation in the CMA’s annual meeting (at the AAA meetings). Two $500 awards will be given annually. Learn more on this award here on the Museum Anthropology weblog. Also newly established is Michael M. Ames Prize for Innovative Museum Anthropology. The Prize will be: “awarded annually to individuals for innovative work in museum anthropology, which is understood to entail outstanding single or multi-authored books, published catalogues, temporary and permanent exhibits, repatriation projects, collaborations with descendant communities, educational or outreach projects, multimedia works, and other endeavours.” Learn more about the prize on the Museum Anthropology weblog here. It will be exciting to see what projects are recognized with these important new awards. One of my graduate school mentors-turned-senior colleagues, Dr. Christopher Peebles has been recognized by the university through the bestowal of the Thomas Hart Benton Mural Medallion by IU President Michael McRobbie. Chris has maintained a remarkable administrative and research agenda, concurrently working as a Southeastern archaeologist (hence our connection) and as a research computing scholar and administrator. He is transitioning into retirement this year after more that 25 years of service at Indiana, where he has directed the Glenn Black Laboratory of Archaeology and served in a number of key administrative roles. The IU Press Release is available here. Congratulations Chris! Great news for my Department in the form of a ACLS press release circulated today. Henry Glassie, College Professor Emeritus of Folklore at Indiana University, Bloomington, will deliver the 29th Charles Homer Haskins Prize Lecture at the 2011 ACLS Annual Meeting in Washington D.C.